A Convicted Robber used a hospital visit to run from the police yesterday. Jamie Halifax who was arrested for burglary while hiding in his parents' loft in Thames Avenue in the Hamptons on the 2nd October last year was taken from Lewes Prison to Royal Sussex County Hospital in Brighton late on Saturday night/Sunday morning when he ran from officers and fled the hospital at 12.40am Sunday. Mr Halifax is still waiting to be sentenced following his conviction at Brighton Crown Court on 5th June for a burglary at a hairdresser’s in Central Road and possession of an offensive weapon on the 5th September last year. 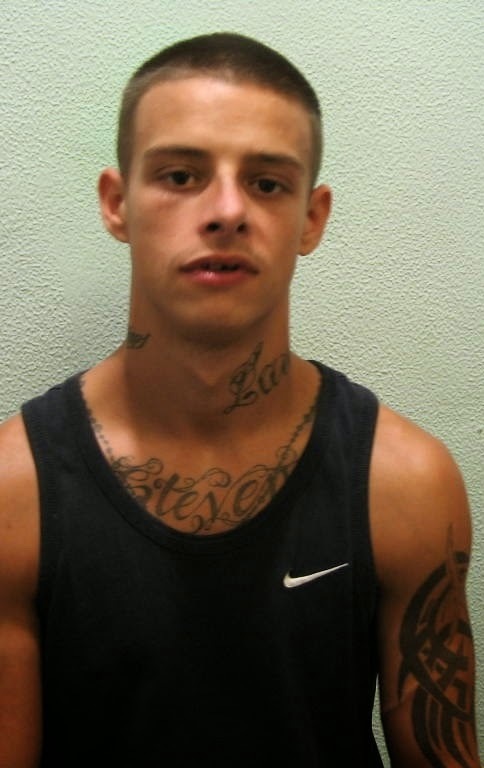 He was also wanted for failing to appear at Croydon Magistrates Court on 12 September 2013 on a charge of having an offensive weapon in Kimpton Road, Sutton, on 31st July last year. All in all it would seem Mr Halifix is a very naughty boy. He is white, 5ft 8in tall, slim, has cropped brown hair and is heavily tattooed. Police have advised members of the public not to approach Mr Halifax if they see him but to call 999 immediately. If you have any other information about his whereabouts, you can call police on 101 or the Crimestoppers charity, anonymously on 0800 555 111.